It is important to know How to tell and what to do if you have a Dental Emergency. Injuries to the mouth may include broken teeth, teeth that are knocked out (avulsed), forced out of position and loosened (extruded) or fractured. In addition, lips, gums or cheeks can be cut. Oral injuries are often painful and should be treated as soon as possible. 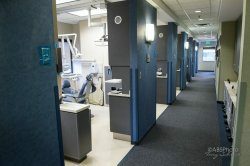 Should a dental emergency happen, immediately call Shamblott Family Dentistry for a dental emergency room appointment! Immediately call Shamblott Family Dentistry for an emergency appointment. Handle the tooth by the crown, not the root. Touching the root (the part of the tooth below the gum) can damage cells necessary for bone re-attachment. Gently rinse the tooth in water to remove dirt. Do not scrub the tooth. Place the clean tooth in your mouth between the cheek and gum to keep it moist. It is important not to let the tooth dry out. If it is not possible to store the tooth in the mouth of the injured person, wrap the tooth in a clean cloth or gauze and immerse in milk or saline solution. If unable to see a dentist within 30 minutes, place the tooth in the socket with firm pressure, trying to place the tooth in the correct position. Then see a dentist as soon as possible. Getting to a dentist within 30 minutes can make the difference between saving and losing a tooth. Attempt to reposition the tooth to its normal alignment using very light finger pressure, but do not force the tooth. Bite down to keep the tooth from moving. Then Dr. Shamblott may splint the tooth in place to the two healthy teeth next to the loose tooth. Immediately call Shamblott Family Dentistry for an emergency appointment. Rinse your mouth with warm water and use an ice pack or cold compress for 20 minutes to reduce swelling. Immediately call Shamblott Family Dentistry for an emergency appointment. Take ibuprofen, not aspirin, for pain as allowed by your physician. Minor fractures can sometimes be smoothed down. If a significant portion of the tooth is cracked or broken a crown or dental cap may be needed to rebuild the tooth. In either case, treat the tooth with care for several days. 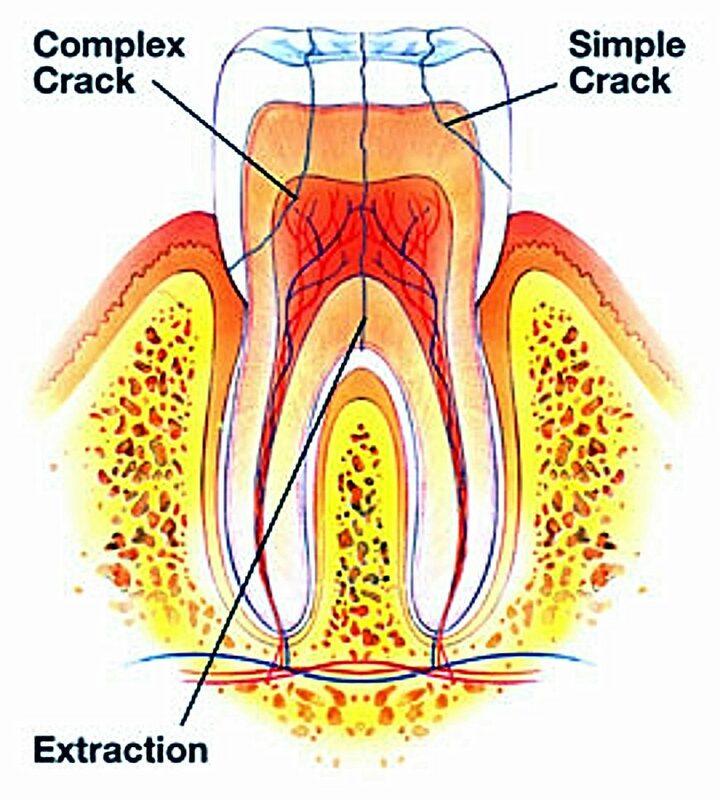 Larger fractures or cracks include damage to the enamel, and/or pulp (tooth nerve). If the pulp is not permanently damaged, the tooth may be rebuilt with a dental crown. If pulp damage does occur a root canal will be needed in addition to the crown. Severe fractures often mean a traumatized tooth with slim chance of recovery that will require extraction. WHAT IF THE TISSUE IN MY MOUTH IS INJURED? Injuries to the inside of the mouth include tears, puncture wounds and cuts or lacerations to the cheek, lips or tongue. The wound should be cleaned right away with warm water, and the injured person taken to your emergency dentist, Dr. Shamblott, or a hospital emergency room right away for any necessary care. Bleeding from a tongue laceration can be reduced by pulling the tongue forward and using gauze to place pressure on the wound. Canker sores are those very small and painful sores which occur inside the mouth. They can be caused by stress, biting the inside of the mouth, or by a reaction to certain foods. If you find that you have developed a canker sore on the inside of the mouth, apply an over-the-counter medicine like Orajel or Zilactin. This will produce a bandage-like film over the sore. Call Shamblott Family Dentistry for an appointment to have the sores evaluated, they can be contagious. Rinse your mouth with warm water and use an ice pack or cold compress for 20 minutes. Then let it warm up for 20 minutes and repeat. NEVER put any pain medication, especially aspirin, directly on the gum tissue. It can severely burn the gum tissue. A toothache can be a sign of a larger serious problem such as a bacterial infection that needs immediate treatment to prevent it from potentially becoming life-threatening. Immediately call Shamblott Family Dentistry for an emergency appointment to evaluate your situation. Wisdom teeth or third molars are the last teeth to form and usually become a problem in the late teens or early twenties. Problems with wisdom teeth can result from incomplete eruption (just poking through the gums) or impaction (the wisdom tooth is locked in the bone or against the tooth in front of it and will not erupt or come in). This can cause pain or stiffness in the jaw or the area where the wisdom tooth is coming in. Infection can also occur if the tooth is partially erupted and something gets underneath the gum tissue. If there is not enough room for the wisdom tooth, decay or cavities can occur, as well as crowding or movement of other teeth from the forward pressure exerted by the wisdom tooth. Most wisdom tooth problems can be treated with extraction of the wisdom teeth. Extraction of wisdom teeth is a common procedure that can be performed with local anesthesia (Novocain), anesthesia gas or sedation. 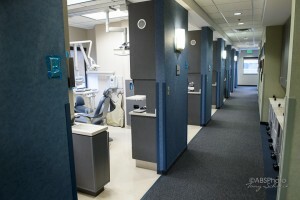 With IV Sedation, you will have no memory of the sights, sounds, or sensations of the procedure. Wisdom teeth are best removed before the tooth is completely formed. This makes for easier extractions and faster healing. When a filling is lost the tooth structure underneath the filling will decay very rapidly toward the nerve. If the decay reaches the nerve, a root canal and a crown will be necessary. You can use over the counter emergency dental filling material available at your drugstore. This will help temporarily seal the area and make the tooth more comfortable. If the tooth has been affected by decay, your dentist will need to prepare the tooth again by removing the decay and then making a new filling or crown to replace the old one. Place a small amount of denture adhesive in the crown and place it back on your tooth. If the crown will not stay in your mouth with the denture adhesive, leave it out your mouth so you do not swallow it. DO NOT USE SUPERGLUE. Also, when a crown is missing for a long time, your teeth may move. If this happens your crown may no longer fit and a new crown will be necessary. If you lose a crown, immediately call Shamblott Family Dentistry for an emergency appointment to re-cement the crown properly. A dental abscess is an infection that often begins as a cavity or decay and progresses to an infection of the tooth, jaw, throat or mouth. Abscesses are frequently very painful as the pus from the infection collects and grows. If they are not treated immediately, the infection may spread to the surrounding tissues. As the infection grows it can make you very ill with chills, fever, nausea, vomiting, and even difficulty breathing (seek immediate emergency help, call 911). A small abscess can frequently be successfully treated with a root canal. As the abscess grows in size the required treatment becomes more involved and may include surgical drainage and/or extraction of the infected tooth. Abscesses are potentially life threatening infections that need immediate treatment. Call Shamblott Family Dentistry immediately for an emergency appointment to treat this dangerous condition. Save all of the pieces of your broken denture or partial. A common mistake people make is trying to repair their denture themselves using superglue. 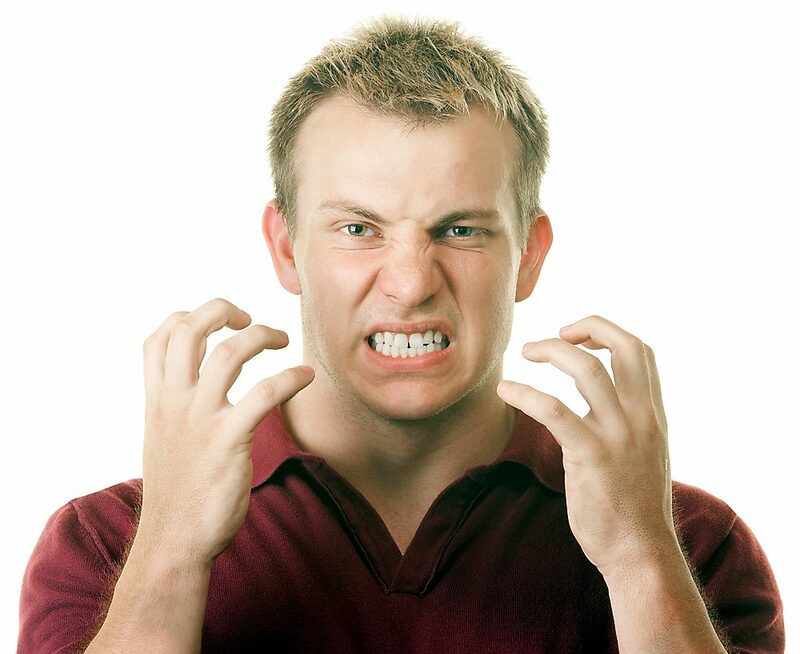 This usually results in an ill-fitting denture that will need to be replaced. Immediately call Shamblott Family Dentistry for an emergency appointment. If possible your denture will be repaired. If your denture cannot be repaired it will need to be replaced as soon as possible. A loose tooth is most commonly the result of severe bone loss due to gum disease (periodontal disease). Try not to bite down on the loose tooth. Place some rolled up or folded gauze on the other side of your mouth and bite down gently to hold it in place. DO NOT SWALLOW THE GAUZE OR SLEEP WITH THE GAUZE IN YOUR MOUTH. Immediately call Shamblott Family Dentistry for an emergency appointment. This article is NOT meant to substitute for a visit to the dentist.